In her working years, my mother was a university librarian, but now she has retired to a world of garden, birds, books, and weaving. If I glance at her loom, I find that some things are always plain and simple: warp, weft, shuttle, ‘shed,’ reed, and beater. But as time passes, what is wound on the cloth beam changes. When she removes the cloth, I may find shawls and table runners and the most absurdly beautiful hand towels—it’s all a surprise. Patterns may vary wildly; there are infinite variations. The constants are tension, materials, and one person’s distinct sense of color and design. It’s that way in many of the arts. The self (however much in flux it might be) and the tools are the constant warp, and the weft of art dances its dance among the threads. As for “realism,” I find that in some fundamental way, I do not believe in it. All stories and songs are made things. If they could be exactly like what we call reality, they would be reality—and what could be more fabulous and strange and impossible than that? 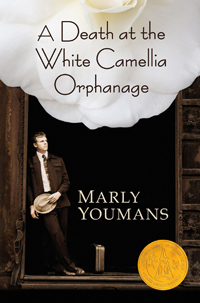 Given the way books are discussed in our time, it’s possible to say that my A Death at the White Camellia Orphanage is a realistic narrative about a Depression-era’s orphan’s struggle to find his place, or that Glimmerglass is a search that takes place in a solid, realistic world but does the fantastic thing of taking the muse as a possible, literal figure—and at one point borrows from the ancient form of the somnium, or dream vision. But I would not reach for genre terms to describe either of them. For me, books are on a kind of thread or continuum, moving from one way of telling the truth to another. All that matters to me is whether they are good books or not. All art is created, shaped, dreamed into existence. What matters is not genre or categorization but the extent to which a fabric made of words—the warp and weft making up a kind of little maze—contains an Ariadne’s thread of energy that leads to larger life. 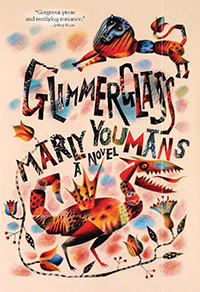 Marly Youmans is the author of the just-released novel, Glimmerglass. “A writer of rare ability” (Baton Rouge Advocate), Marly is the award-winning author of a dozen books. 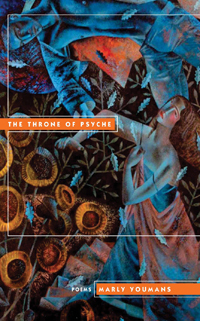 Recent works include A Death at the White Camellia Orphanage, called “the finest and the truest period novel I’ve read in years” by the late Lucius Shephard; Throne of Psyche: Poems, and Thaliad, hailed as “a work of genius,” “amazing, mesmerizing” by novelist Lee Smith. A native of the Carolinas, Youmans now lives near the mouth of the Susquehanna with her husband and three children.